We are one of the top Beach Umbrella Manufacturers In India. Mumbai, previously known as Bombay, is the capital of Maharashtra and is also the financial capital of India. Most of the corporate giants have their base in Mumbai too, be that a manufacturing co or an IT based industry or an Infrastructure raw material giant, manufacturing has always been a tedious job. The term manufacturer can be a small shop owner or be than an industrialist, the only difference is the process and the efforts involved. 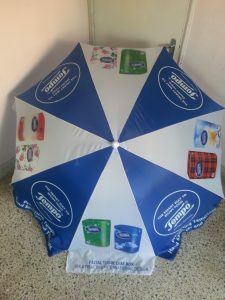 Shubhamm Inc caters mostly to the corporate sectors that require umbrellas for business promotion activity or sales promotional activity or any other marketing activity. 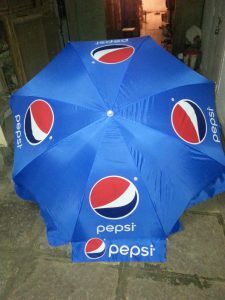 We manufacture umbrellas like Two Fold Umbrella, Folding Umbrella, Gents Umbrella, Ladies Umbrella, Wooden Umbrella, Anti Drip Umbrella and Garden Umbrella. 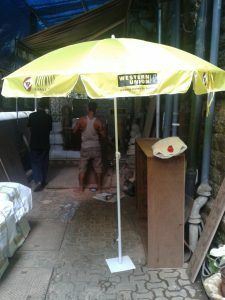 Out of all of the above mentioned products, Garden Umbrellas is one such product that is manufactured throughout the year. 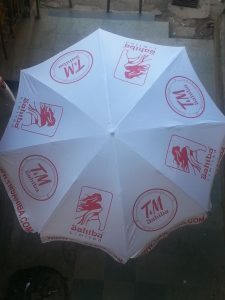 We also involve into maximum level of customisation on the grounds of printing on the umbrella.